Bill is a permanent deacon who serves as pastoral associate at St. John's Catholic Church in Edmond, Oklahoma. He is co-founder of the Catholic Men's Ministry of Oklahoma and a popular speaker at Catholic men's conferences. 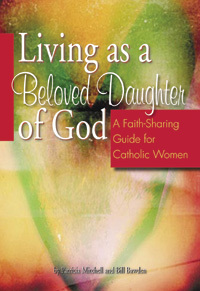 This sixteen-session faith sharing guide will help women come to deeper understanding of their identity in Christ while also helping them to gain a renewed perspective of their varied roles as wives, mothers, sisters, and daughters.